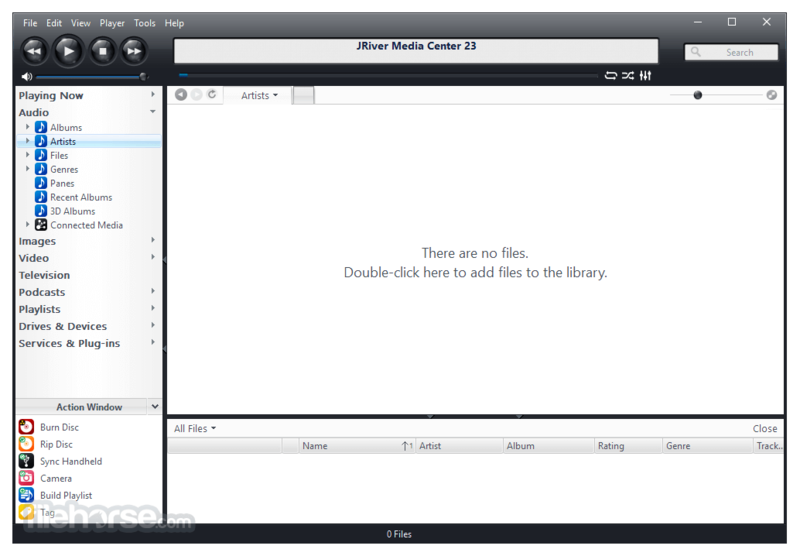 J. River Media Center is complete media solution for extensive libraries. 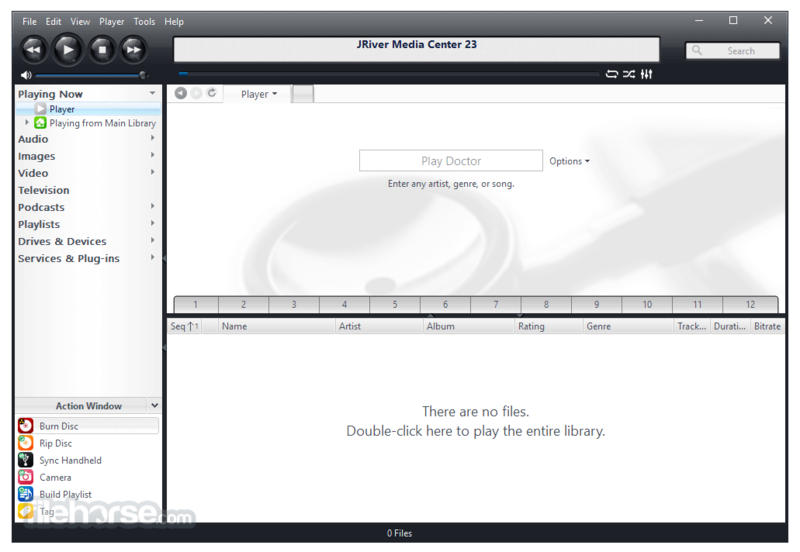 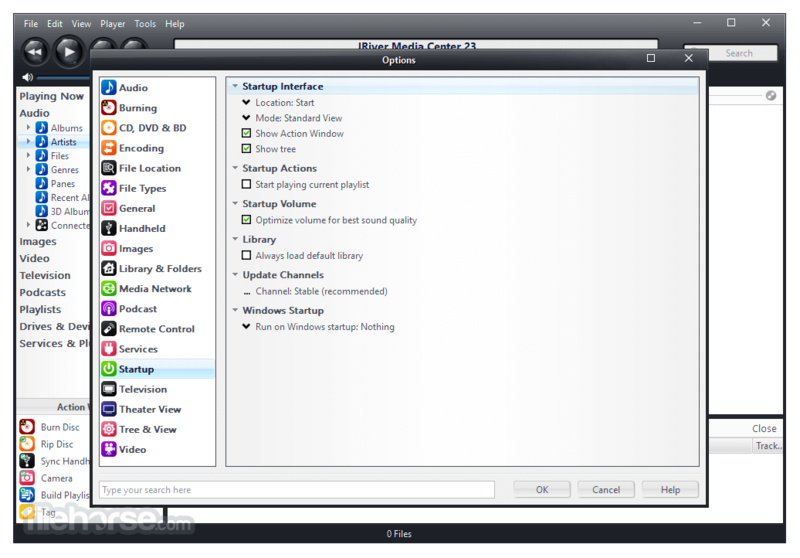 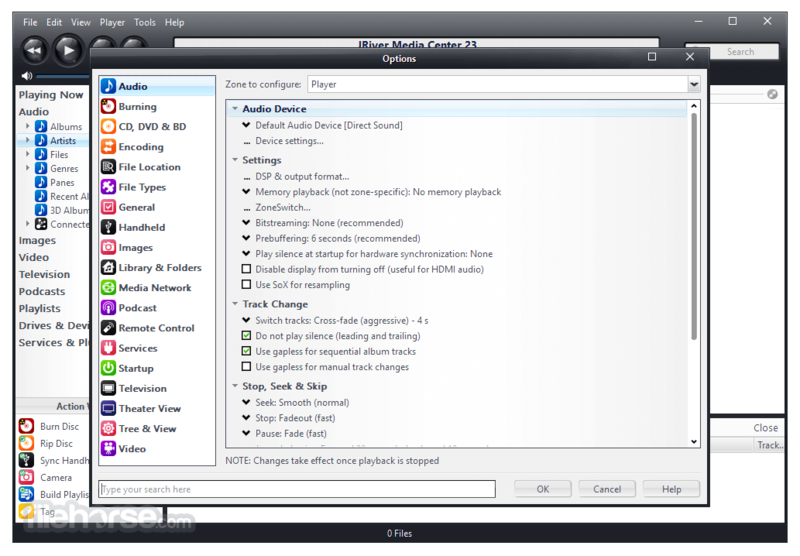 It organize, play, and tag all types of media files and Rip, Burn, serve to Xbox, PS3, UPnP, DLNA, and TiVo. 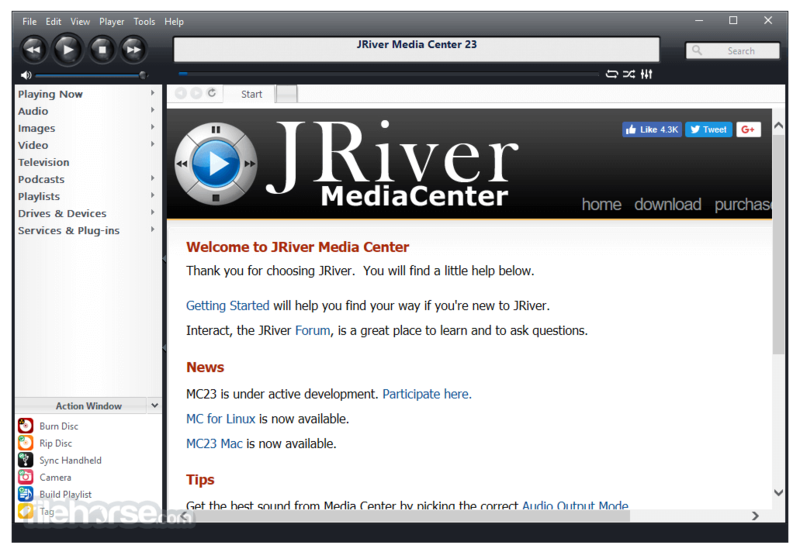 J. River Media Center features audiophile quality, Ten foot mode, remote control, HD TV recording in real time, customizable media views, supports playe, cameras, 90+ media file formats, integration with Facebook, Flickr, Audible, Amazon MP3, Google, Youtube, Wikipedia, Hulu, Last.FM, and Twitter, cover art lookup, three skinned interfaces, visualization Studio lets you create your own visualizations, DSP Studio allows personalization of the listening environment, smart lists based on rules, drag-and-drop for easy Play list creation, support for CD and DVD database, and support for popular handheld players.